Missed the Apple keynote at WWDC 2011? Fret not, because All We Like wrapped up the event for you. As promised, Apple’s keynote at the WWDC 2011 discloses all the details for Mac OS X Lion, iOS 5 and iCloud. And although nothing was mentioned about an upcoming hardware like iPhone 5, the WWDC 2011 is still a huge step forward for the company when it comes to software. That said, All We Like wrapped up the highlights and everything you need to know about Apple’s WWDC 2011 keynote below. The keynote highlighted ten of its over 250 Mac OS X Lion features. Disappearing scroll bars, and swift momentum-based scrolling, swiping and taps will be available with the Multi-touch Gestures. The Full Screen Apps, meanwhile, allows a user to take advantage of every pixel on the screen with its Full-screen Button. It also has an Auto Save option, wherein the OS will automatically save everything for you in the background, while the Resume feature brings you back to where you quit the application. The LaunchPad makes all your applications fly to your screen through a pinch motion, whereas a three-finger swipe upwards will bring you to the Mission Control. The Mission Control gives you a preview of everything that is going on in your system. Furthermore, Mac OS X Lion has a built-in Mac App Store. Mac OS X Lion also features a revamped Mail, and over-the-air file sharing is now easier with AirDrop. Users can also turn their Macs in a time machine with Versions. The new OS also has more than 3000 easy to upgrade APIs for developers, and they are available at the Mac App Store and works on all Mac Devices. However, the APIs require 4GB of space, and will be available on July for $29.99. The iOS 5 is a major release for developers and consumers which supports iPhone 3GS, iPhone 4, iPad and iPad 2, and the 3rd and 4th generations of iPod Touch. The Notifications Center and Safari Reader gets a revamp, while newspapers and magazines on iOS devices can now be accessed more easily with News Stand. Twitter is now deeply integrated into iOS 5 with its single sign-on, and Reading List enables users to pull various articles to read later. Reminders, on the other hand, makes virtual post-its and assigns memos and locations to different notes. The Camera can now be accessed faster from the lock screen with the iOS 5, while Mail now gets rich-text formatting and additional features. And just like Mail, the iMessages now supports individual and group conversation, text, photo and video messaging. While the iOS 5 is now PC Free, the Game Center gets more social. Set for a Fall release, the iCloud will automatically store your music files in the cloud and push them to all of your devices over the air. And with MobileMe soon to cease, syncing contact, calendar and email will now be offered through iCloud without charge. In addition to this, the Cloud Button will show your iTunes, AppStore and iBooks purchase history from all devices even if it’s not yet installed or downloaded. Just push the button and you can download your purchased app for free. The Documents in the Cloud enables you to sync your Pages, Numbers and Keynotes, while Photo Stream does the same with your images. 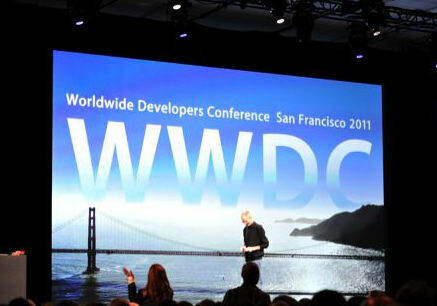 To know more about Apple’s keynote at WWDC 2011, watch their video in their official website.